Cameron Ross is a Reader in Politics in the College of Arts and Social Sciences, University of Dundee. He has published widely in the field of Russian politics particularly in the politics. His most recent books are: Regional Politics in Russia (2002), Federalism and Democratisation in Russia (2003), Russian Politics under Putin (2004). Adrian Campbell is a senior lecturer at the International Development Department at the University of Birmingham. He has been involved in researching and consulting in local and regional government in the Russian Federation and the CIS since 1990. 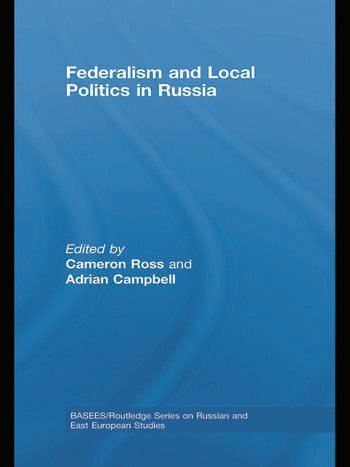 He recently co-edited (with Andrew Coulson) a volume on Local Government in Central and Eastern Europe, also published by Routledge.